This painting is in the "Portraits of Influence" series. Frida in Floral was created for an art show that honored women's contributions to society. This painting is in the "Portraits of Influence" series. This 20" x 16" Frida in Floral was created for an art show that honored women's contributions to society. Rosemary created this image by watching Frida videos. 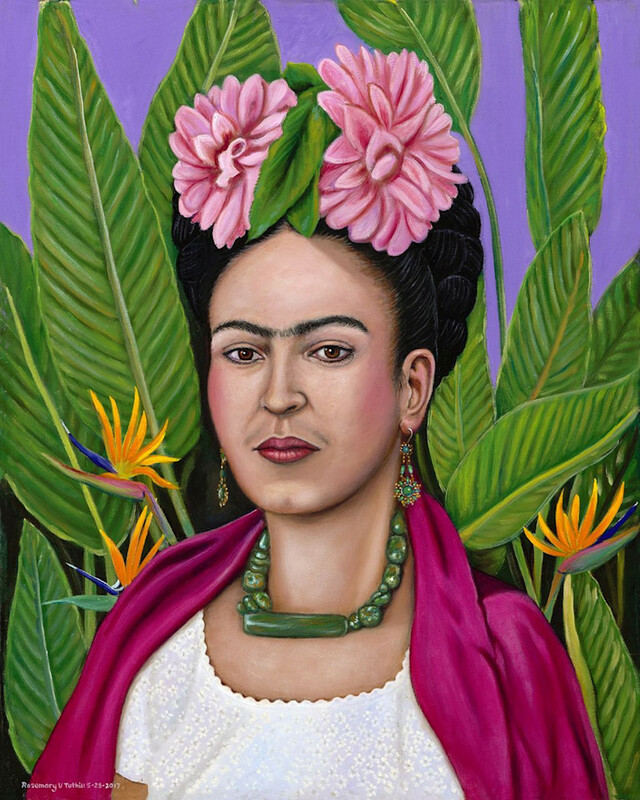 She visualized an image of Frida in a tropical setting; and she created an original Frida portrait to honor this feminist icon. In addition, after sketching the image, she began the painting live at the May 6, 2017 Latin Music Fest at Main Place in Santa Ana.